Drive-In movies haven’t really been a roaring success in the UK, what with our changing weather conditions from cold to rain to wind every so often, but, after some careful planning and plenty of anticipation, following from one of our best summers in recorded British history, the East Midlands has now welcomed and set up a huge outdoor cinema, located next to a shopping centre, so you can really experience outdoor entertainment like Danny and Sandy, it’s Greece, eat-your-heart-out. 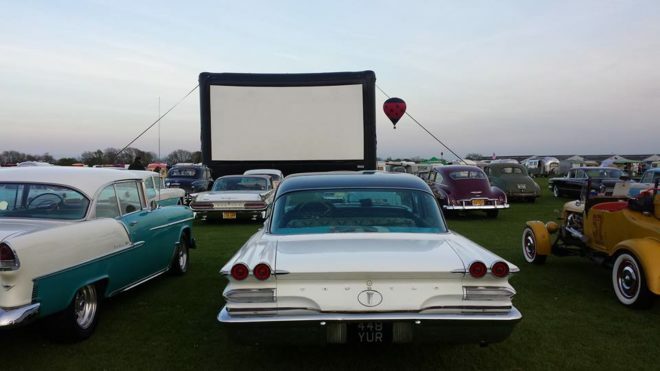 The brilliant idea behind the open air city cinema is the company Urban Entertainment, they specialise in creating and presenting Urban Drive-In Cinema experiences which have brought one right to our doorstep, they’ve carried out a number of successful drive-in theatres and it’s becoming more popular by each event. The new outdoor cinema sits nicely next to East Midlands Designer Outlet on Mansfield Road, DE55 2JW. Over the coming months, up until December, there will be 6 screenings of some of the most iconic seasonal movies. 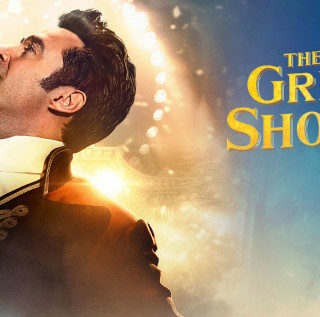 From the 2018 film The Greatest Showman including stars like Zac Efron and Hugh Jackman. 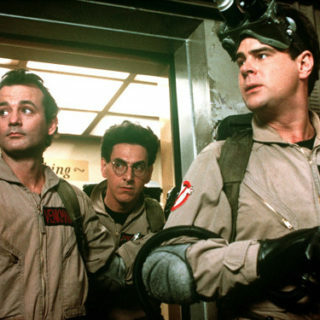 To Halloween specials, showing the origional Ghostbusters. 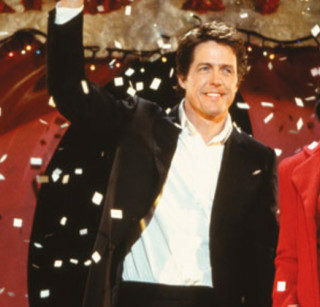 Then, from November until December 9th, festive Christmas films will be showing such as the romantic yet hilariously funny Love Actually, and Elf. 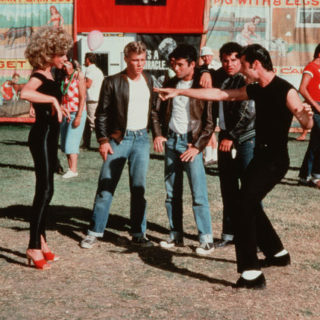 Each night, the gates will open at 5pm and the film will begin at 7:30! 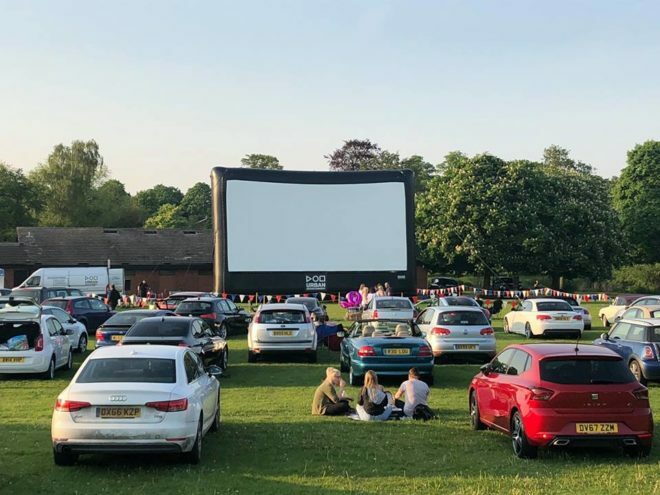 The price per car will be £25.00 and larger vehicles are advised and requested to park at the rear of the car park ensuring there’s no obstruction to the screen. 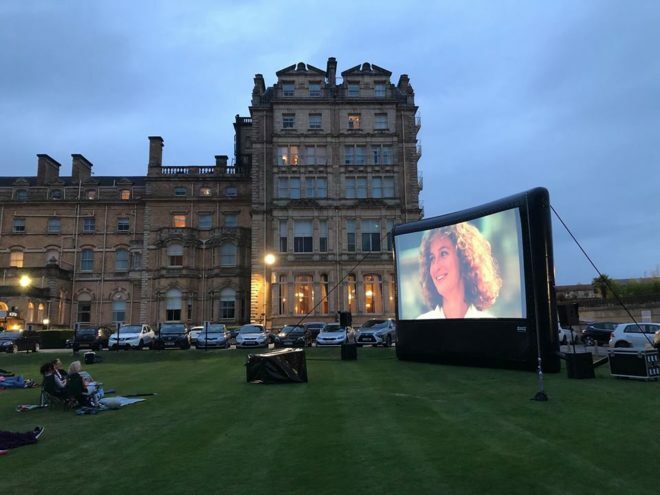 If you want to make sure you have the most perfect date night over the next few months, there’s nothing that will come close to watching a classic while enjoying a picnic, under the stars. You listen to the dialogue through an FM transmitter. At the beginning of the evening, you will be issued an FM frequency to tune your car radio into at the Box office. If you want to find out more information, please follow the link below and book your tickets TODAY because sales will end on 30th September due to a sell-out!